PALMDALE – The City of Palmdale and Waste Management of the Antelope Valley invite local seniors to attend a free “Sharps & Pharmaceutical Waste Round-Up,” this Thursday, August 25 from 10 am to noon at the City’s Legacy Commons for Active Seniors, located at 930 E. Ave. Q-9 in Palmdale. Coffee and dessert will be served to participants. The event is designed to help seniors properly and safely disposed of their used needles (sharps) and pharmaceutical waste. 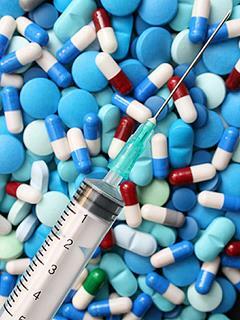 Pharmaceuticals include pills, prescription medications, liquid medicines and syrups, diagnostic agents, veterinary medications, nutritional supplements, and creams and ointments. Home-generated sharps waste means hypodermic needles, pen needles, intravenous needles, lancets, and other devices that are used to penetrate the skin for the delivery of medications or testing. Consumer products such as fragrances, cosmetics and sunscreen will also be accepted for collection. All pills submitted for collection at the round-up must be sealed in plastic baggies. Bottles of liquid, such as topical creams, cough syrups, etc., must be brought in their original containers. In addition to the collection, information will also be provided on the City’s Sharps Mail Back Program, recycling programs and disposal procedures for materials not accepted at the round-up. Not accepted at the Round-Up are batteries, inhalers, hazardous household wastes, electronic waste and DEA-controlled substances and illegal drugs such as barbiturates and methamphetamines. Since Sept. 1, 2008, California state law has prohibited the disposal of home-generated sharps waste in the trash, recycling, green waste, or large commercial dumpsters. For more information about this event, contact Waste Management at 661/947-7197.